Founder and President of the Egyptian Society of Infection Control (1992 – present); Now it’s "APIC/Egypt Chapter", the 1st International Chapter of APIC. Founder and Head of Infectious Diseases Research and Infection Control Unit (IDRICU), Ain Shams Faculty of Medicine, Cairo, Egypt, (1992 – present). 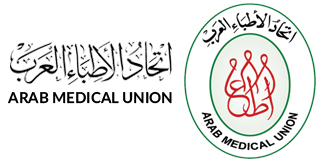 Founder and Director, Eastern Mediterranean Regional Network for Infection Control (EMRNIC) (2005-present). Founder and President of the Egyptian Patient Safety Association(EPSA) ,(2009 - present). Vice-Chair, The Infection Control Africa Network ( ICAN ), ( 2011–2016). Chair, North Africa Region, ICAN, (2016 – present ). Board Member, The International Federation of Infection Control (IFIC) (2003- 2010). Technical Supervisor of the National Infection Control Program, Ministry of Health and Population, Egypt (2002—2006). Head, Egyptian Fellowship Board of Medical Microbiology and Infection Control, Ministry of Health and Population, Egypt (2002- 2007). Head, Egyptian Fellowship Board of Infection Prevention and Control, Ministry of Health and Population, Egypt (2007—present). Designer and Instructor of "the Professional Certificate in Nosocomial Infection Control", Awarded by The Egyptian Society for Infection Control in collaboration with the American University in Cairo. (2003- 2007). Designer and Instructor of the Professional Diploma in Infection Control "PDIC", Awarded by The Arab Institute of Continuing Professional Development "AICPD" in collaboration with The Egyptian Society for Infection Control , Cairo, Egypt( Jan 2007—present). Designer , Instructor and Head of the Scientific Council of the Infection Control training programs, National Training Institute, Ministry of Health and Population, Egypt (2002-2009). Designer and Instructor of the different training courses on Healthcare Associated Infection Control Practices, IDRICU, Ain Shams Faculty of Medicine, Cairo, Egypt (1993-present). Designer and Instructor of "the Professional Certificate in Nosocomial Infection Control", Awarded by The National Infectious Diseases Control Centre – Libya (2007- 2009). Designer and Instructor of "the Professional Certificate in Nosocomial Infection Control", Awarded by The Ministry of Health, Syria, in collaboration with EMRO/WHO (WR Office-Syria) (2008 - 2009). Founder and Editor of the Scientific Medical Journal – Egypt (1989- present). Member of the International Advisory Board of the Eastern Mediterranean Health Journal (EMHJ), EMRO/WHO, (1999- 2013). Editorial Board Member of the International Journal of Infection Control (IJIC) (2005 – 2008). Member of the International Advisory Board of the Health Research Ethics Training Program Initiative in Egypt (2005-2008). President, Confederation of African Medical Associations and Societies (CAMAS) "2005- 2008 ". 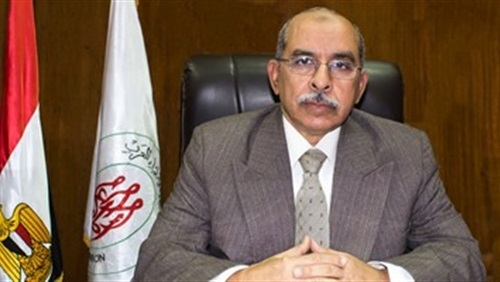 Secretary General of the Medical Microbiology and Immunology Committee of the Egyptian Universities Promotion Committees (EUPC), in the Supreme Council of the Universities, Egypt (2008 – 2013). Chair, The International Section of The Association of Professionals in Infection Control and Epidemiology (APIC), USA,( 2011- 2012). APIC 2012 Chapter Leader Award Recipient. Member of the Annual Conference Committee (ACC) of The Association of Professionals in Infection Control and Epidemiology (APIC), USA,( 2014- present). Member of the WHO Eastern Mediterranean Regional Network of Experts on Infection Prevention and Control " WHO/EMREIC", ( September, 2012 – present ). Drug Resistance Track Leader of the Third International Conference for Improving Use of Medicines (ICIUM 2011), Informed Strategies, Effective Policies, Lasting Solutions, November 14-18, 2011 , Antalya, Turkey. National Coordinator of Polio Containment in Egypt (2001-2011). Technical Advisory Group (TAG) member for Polio Eradication in Egypt (EMRO/WHO) (2001-2011). Secretary General of the Egyptian Society for Quality of health care (2005-present). Director, Emergency Relief Agency/Arab Medical Union (ERA/AMU), Cairo, Egypt ( Partner of the Global Health Cluster (GHC) / WHO HQ ). Core Group Member of the Global Health Cluster (GHC), WHO HQ, Genève ( 2011- Dec2014 ).